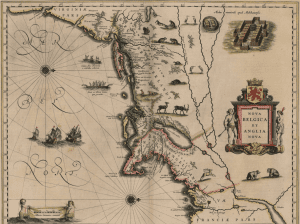 The New Netherland Institute has announced they are offering research grants with financial support from the estate of Charles W. Wendell. These annual grants honor the memory of Dr. Charles W. Wendell, a valued trustee, vice-president, and president of the New Netherland Institute’s Board of Trustees from 2000 to 2015. The grant covers a period of one week up to six months, part of which may be devoted to residency at the NNRC, and provides a stipend of $1,000 to $ 5,000, depending upon the scope of the project. A time frame for fulfilling the grant requirements will be established in consultation with the Director of the NNRC. No housing, travel funds, or health insurance are provided. Applications are due February 15.